I’m ashamed to admit that before I read this book, I wasn’t very well versed in the facts surrounding the death of Trayvon Martin. I was aware of the event itself in broad strokes, but I didn’t follow the case with the attention it deserved. I was aware that his murderer was clearly a racist POS and that justice was not served, but certainly due to my own white privilege, I didn’t feel the sense of urgency to see justice carried out, or the true sense of devastation when it was not. Things are different now. As the election of a white supremacist to our highest office shook me wide awake and out of my privilege-induced stupor, I have turned to books among other things to help me understand the world I now realize I have been living in all along. The majority of the books I have read this year center around race, and one of the things they have collectively imparted is that while this utter failure of the so-called justice system shocks and horrifies me, it comes as no surprise to people of color who have known this from the time their ancestors’ stolen bodies set foot on stolen soil. This is a powerful account of Trayvon’s murder, the “investigation”, the trial, and its part in continuing to grow a modern day movement for racial justice. 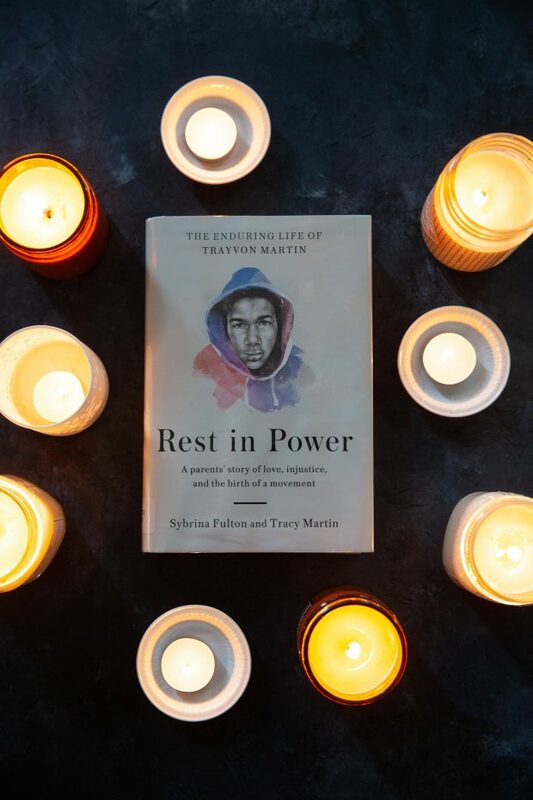 The book is written in alternating chapters by Trayvon’s parents, Sybrina Fulton and Tracy Martin. It introduces us to Trayvon as a person, a fairly typical teenager. It walks us through his last day and the personal horror that followed for a family whose son had senselessly been brutally murdered, and the incredulity as it became clear that the investigation of the murderer was minimal and gravely mishandled at best. It recounts the actions of a family working hard to advocate on behalf of justice for their son, since the so-called justice system seemed uninterested in prosecuting the killer until their hand was forced. The facts of the trial are recounted in great detail, where the prosecution is meek, and the defense disgustingly puts Trayvon on trial, as though he was somehow responsible for his own death. It is shattering. The facts of this case alone and the way it was handled are crucial for all of us to understand and for that reason alone, this is essential reading. It is a story worth knowing because these parents lost their son to a racist murderer and the killer went free. We must reflect as individuals and as a nation on where we find ourselves – with two separate versions of a justice system determined by skin color, with structural racism firmly in place to prevent true justice for many of our citizens. What can we do? We can become active in state and local government, we can pay attention to who is being elected as district attorney, we can vote for federal candidates with a focus on true criminal justice reform. And we can start by listening valuing the stories of people like Trayvon’s parents. We simply MUST do better.